Kodaikanal is a city in the hills of the taluk division of the Dindigul district in the state of Tamil Nadu, India. Its name in the Tamil language means "The Gift of the Forest". Kodaikanal is referred as the "Princess of Hill stations" and has a long history as a retreat and popular tourist destination. It's a lot cooler in temperature than lower elevation cities such as Chennai. Kodai is situated at an altitude of about 2,133-m high and covers an area of 21.45-sq-km. The hill town is renowned for its educational institutions of international repute. The hill-plantain fruits and plums are known for their freshness and taste. Berijam lake, one among the beautiful lakes of South India, spreads over an area of 24 hectares. Kodaikanal was established in 1845 as a refuge from the high temperatures and tropical diseases of the plains. Much of the local economy is based on the hospitality industry serving tourism.As the economy of Kodaikanal is predominantly run by tourism. The town's infrastructure changes every year in preparation for the peak tourist season. Major roads are converted into one-way lanes to regulate the constant inflow of traffic and special police are brought in for the safety of the tourists and protection of local businesses. Hotels are often fully booked during the high season, and remain virtually empty during the off-season. Due to the rapid development of nearby cities such as Madurai and Coimbatore, the town is starting to enjoy year-round tourism. There are at least 50 hotels catering to all categories of tourists and over 30 south & north Indian, continental, western and Chinese restaurants, and many more small eateries and tea stalls. Plums, pears, chile peppers, carrots, cauliflower, cabbage, garlic and onions are cultivated by terrace farmers in surrounding villages. Most are trucked to other parts of India and some are sold in the local market. Popular tourist souvenirs include handcrafts, home-made chocolates, postcards and Eucalyptus oil. Kodaikanal has several scenic natural attractions which are enjoyed by its visitors and make it a popular romantic destination for newlyweds. These are described in order of distance from the bus-stand. Kodaikanal Lake, 500 metres (1,600 ft) from the bus stand, is an artificial, roughly star-shaped 45 ha (60 acres) lake built in 1863. It is recognized as Kodaikanal's most popular geographic landmark and tourist attraction. Rowboats and pedalos can be hired at the Kodaikanal Boat Club with its main entrance near the only five-star hotel in Kodaikanal, The Carlton. Horses and bicycles can be hired beside the lake for short periods. The 5 kilometres (3.1 mi) path that skirts the periphery of this lovely lake is a favourite walk for the locals and tourists alike. Coaker's Walk, 500 metres (1,600 ft) from the bus-stand, constructed by Lt.Coaker in 1872, is a 1-kilometre (3,300 ft) paved pedestrian path running along the edge of steep slopes on the southern side of Kodai. The walk, winding around Mount Nebo, starts in front of the Van Allen hospital, running parallel to the Van Allen Hospital Road and joins the main road beside St.Peter's Church, providing a stunning panoramic view of the plains. On a clear day one can view as far as Dolphin's Nose in the south, the valley of the Pambar River in the southeast, Periyakulam town and even the city of Madurai. A fascinating rare phenomenon called Brocken spectre can be witnessed, when a person can see his shadow on the clouds with a rainbow halo. This occurs when the sun is behind the viewer and clouds and mist are to the front. There is an observatory with a telescope halfway along the walk. Entrance fee to the walkway is nominal and it is open all year. Shembaganur Museum of Natural History, 6 kilometres (3.7 mi) from the bus-stand, founded in 1895, is open to the public (except Tuesdays) for viewing their outstanding taxidermy collection of more than 500 species of animals, birds and insects and a living collection of over 300 exotic orchid species. The museum is affiliated with Loyola College in Chennai and exhibits artifacts of the ancient Palaiyar tribes people whose descendants still live in these hills. Kodaikanal Solar Observatory, 6 kilometres (3.7 mi) from the bus-stand on Observatory Road, at 2,343 metres (7,687 ft) is the highest location near Kodai. The first observations were commenced here in 1901. Former Director John Evershed, discovered the phenomenon of radial motion in sunspots, now known as the Evershed effect. The Kodaikanal Terrestrial Telescope can view a grand panorama including: Sothupparai Dam, Vaigai Dam, Periyakulam and Varaha river. This Indian Institute of Astrophysics facility has a comprehensive Astronomical Science museum with organized public tours, access to the astronomy library, and scheduled night-time telescopic sky viewing. It is open daily to the public during peak season, and a few hours each Friday the rest of the year. Guna caves, made popular by the Tamil movie Guna, previously called Devil’s Kitchen, are deep bat-infested chambers between the three gigantic boulders that are the Pillar Rocks. The deep narrow ravines of the caves are now closed to public due to the tragic deaths of twelve youths there. These dangerous caves are highly protected now, and tourists can see sections of the cave system from afar. Silver Cascade, 8 kilometres (5.0 mi) from Kodaikanal at a wide bend in the long and winding Laws Ghat Road, at altitude 1,800 metres (5,900 ft), is a 55-metre (180 ft) waterfall formed from the outflow of Kodaikanal Lake. The water quality is reportedly poor and not good enough for bathing. This impressive waterfall is a popular stop for first-time visitors. There are a few souvenir and fruit vendors and many monkeys here. There is also a smaller but more serene waterfall below the bridge which crosses the stream here. Dolphin's Nose, 8 kilometres (5.0 mi) from the bus stand, is flat rock projecting over a breathtaking chasm 6,600 metres (21,700 ft) deep. It is an undisturbed area 1 kilometre (0.62 mi) down a very steep rocky trail beginning soon after Pambar Bridge. Orange juice vendors along the trail offer a welcome rest stop. Beautiful views of steep rocky escarpments rising from the plains can be seen. The old village of Vellagavi can be reached through a rugged bridle path here. A short paved walkway leads from the road here to Pambar falls (which is also locally addressed as 'Liril Falls' after the famous Liril Soap Advertisement filming in 1985). Kurinji Andavar Murugan temple, 4 kilometres (2.5 mi) from the bus-stand, is famous for its Kurinji flower which blossoms in the area only once every 12 years. The deity here is called Sri Kurinji Easwaran, who is in fact Lord Murugan. This temple was built in 1936 by a European lady, who on coming to Celon, converted to Hinduism.She changed her name to Leelavathi and married Mr.Ponnambalam Ramanathan. She is also known as Lady Ramanathan. This temple was handed over to Arulmighu Dhandayuthapani Swamy Thiru Kovil, Palani by Mrs Devi Prasad Bhaskaran(also known as Padmini, niece and adopted daughter of Mr S Natesan Pillai, son in-law of Lady Ramanathan) and her husband Dr R. Bhaskaran. From Chennai/Bangalore many trains are passing through Kodai Road, which is the closest Railway station to Kodaikanal. From Kodai Road, Kodaikanal is about 2 hrs drive by road (75KM). From Chennai and Bangalore, the train facilities are also available to the other closet cities like Madurai, Coimbatore, Trichy and Dindugal. Kodaikanal can also be from these cities by road. Kodaikanal is close to the following cities. "HOTEL MOUNT VIEW", Kodaikanal is located at the heart of the town at Laws Ghat Road and is one of the leading hotels at Kodaikanal. 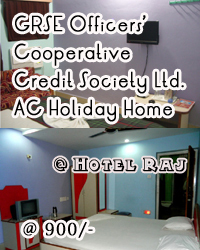 CP Break Fast Rs.300 per couple per day, MAP Rs.950 per couple per day. * The Checkout time during the Season is 09.00 A.M.